It’s summertime and that means lazy days of reading! Freddie took a little time off from her duties as chief canine officer at Jimmydog Pet Portraits to dive into a great new book, “Esther the Wonder Pig: Changing the World One Heart at a Time.” She declares it a “woofing” good story and loved finding out how Esther the Wonder Pig and Happily Ever Esther Farm Sanctuary came to be. During our summer breaks at Jimmydog Pet Portraits—busy chief canine officers like me really need our vacations—my person Stephanie Belcher and I like to read. Well, she reads to me and I listen, but only because it’s hard to hold books in my paws. I liked it immediately because the book itself is pink—my favorite color and, it turns out, Esther’s too! Actually, Esther and I have a lot in common. We both were rescued by the best people ever, we both are known to be divas and we both like tummy rubs. Also, we both spend a lot of time at the pool—Esther taking dips in her blue plastic piggy pool and me lying on the deck so I don’t mess up my hair. But enough about me. Let’s get back to Esther. 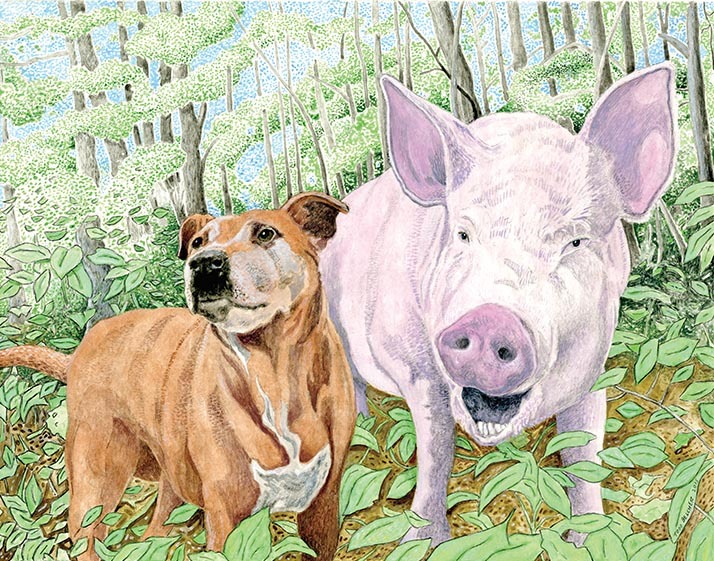 When she was just a piglet, Esther was adopted by Steve Jenkins and Derek Walter, two animal-loving guys living in the Toronto suburbs. Steve, who got Esther from an old school friend, had been told she was a mini pig. “A mini pig?” thought Steve, “That sounds adorable. Who wouldn’t want a mini pig?” The partners already had two dogs and two cats, all rescues. Why not add a mini pig to the mix? Well, not to give too much away, but there is no such thing as a mini pig. Steve and Derek had adopted a commercial pig who would grow to weigh 650 pounds—the size of a sofa, or a polar bear! But by the time they discovered this, they had fallen in love with Esther. (We rescues have a way of doing that to our people!) They’d also become vegans and compassionate animal activists. 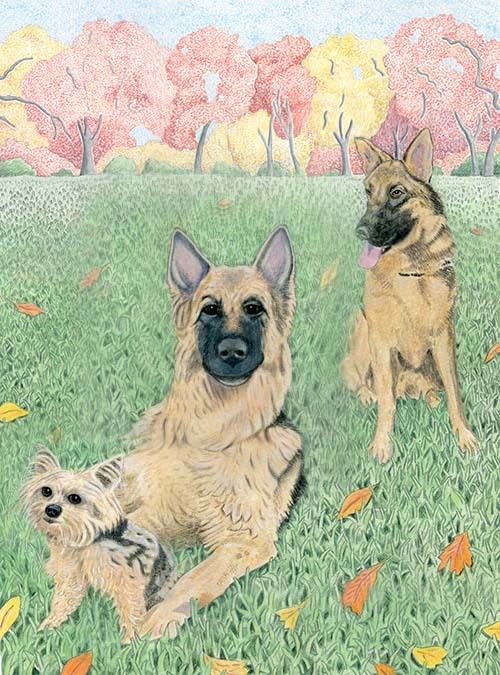 As Esther nears her 2nd birthday, Steve and Derek realize they have to find her a new home. And this is where I would usually stop listening to Stephanie read. It doesn’t sound good does it? Like Esther will be going to go “live on a farm” and we all know what that means. Except, surprise! Esther really does go live on a farm—a beautiful, 50-acre farm that Steve and Derek buy with the financial help of many of Esther’s social media fans. They name it Happily Ever Esther Farm Sanctuary and welcome lots of other farm animals to live there, too. How cool is that? I tail-waggingly recommend this book to all my doggy and people friends. Pigs, too. Steve does the storytelling and he’s got a breezy style and a great sense of humor that makes the book a quick read. There are some sad parts—Stephanie teared up a few times—but then Esther did something hilarious and we were laughing again. I give it four paws up. 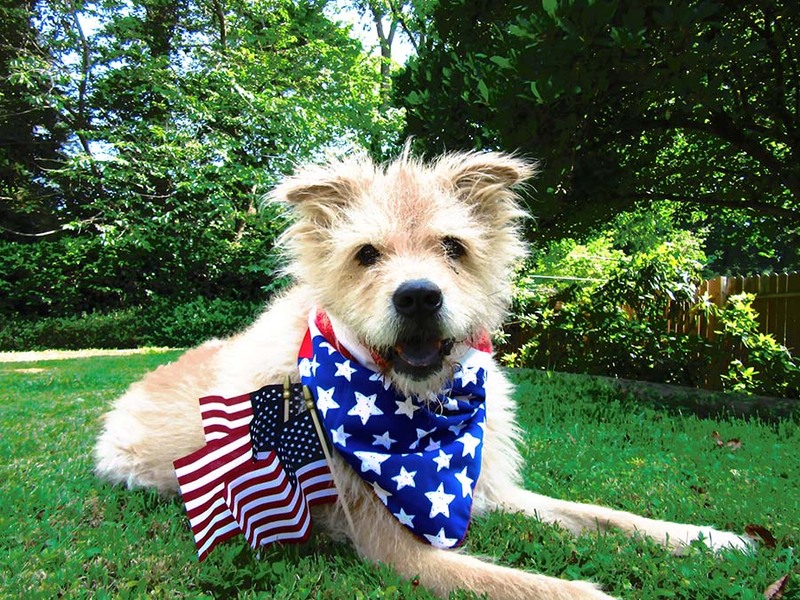 Chief Canine Officer Freddie wishes everyone a Happy Flag Day! Happy Friday! Say hello to Lucy, Cosmo and Dago. This striking portrait was created from separate photos and Todd created the beautiful fall background at the client’s request. Not only is this portrait an honor and testament to the client’s love for her beautiful pets, but also a memorial to Cosmo (middle shepherd) who she sadly say goodbye to last year. 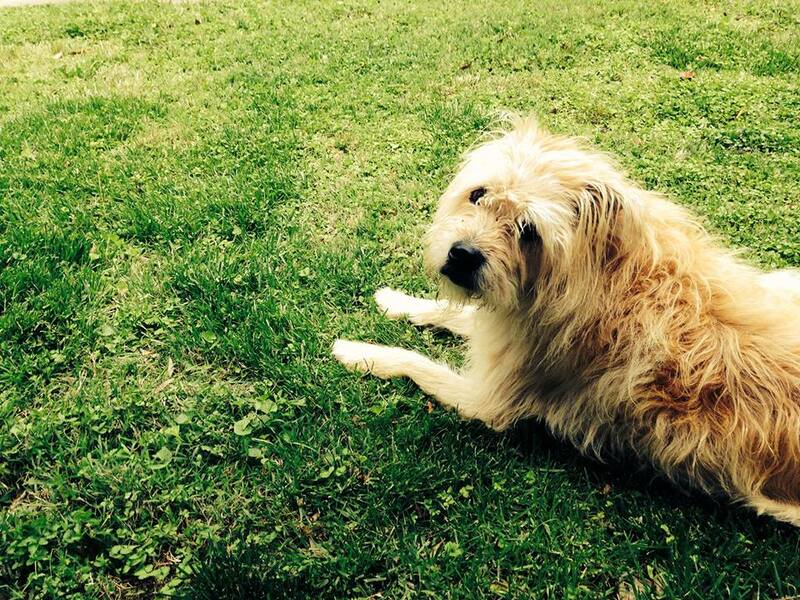 We are so happy to report that Freddie, our Chief Canine Officer passed her annual wellness visit with flying colors. The vet said she was in excellent health and her bloodwork is perfect. At 13.5 everyone still thinks she’s a puppy and so does she!